1986-2009: Even before graduating in medicine, Dr. Simeone was interested in the several aspects of Biological and Integrated Medicine. In 1989, he founded the Broussais Medical Center of Rome. The Center was named after a prominent naturalist physician of the 19th century, Francois Broussais. In October 2009, another Center was opened in Genoa. Nowadays, the Broussais Medical Center is one of the most important existing centers dealing with Biological Medicine. It is a state-of-the-art center which deals with numerous aspects of Biological Medicine, from functional diagnostics to the most important therapeutic techniques regarding Biological Medicine. broussais.org is the website of the Broussais Medical Center. Over the years, Dr. Simeone has also devoted himself to teaching; among his several courses, he was the Director of Studies of the first “Master in Homeopathy and Homotoxicology” organized at the Santo Spirito Hospital of Rome by Accademia dell’Arte Sanitaria (Medical Academy) in 1997, under the patronage of The University of Medicine of Siena and Chieti. In addition, Dr. Simeone held training courses regarding Homotoxicology, Electro-acupuncture according to Voll, Vincent’s Bio-electronic and several Nutrition Courses. He has studied fasting therapy since 1986 and he has attended thousands of patients for more than 20 years; nowadays, Dr. Simeone is one of the greatest experts in the field of fasting therapy in the world. www.digiuno.it is a website dedicated to fasting. Dr. Simeone has dedicated himself to developing a new method to face autoimmune diseases for 15 years. In particular, he has attended many patients suffering from thyroid diseases, integrating conventional examinations with a new diagnostic model. This allowed him to treat and cure patients without using hormones and to “rehabilitate” the thyroid functioning gradually eliminating them. At present, hundreds of recovery cases are documented by case histories and medical examinations. 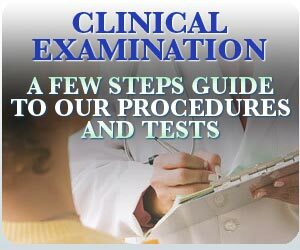 Some of the above mentioned clinical trials have been published on the site of the Broussais Medical Center. Dr. Simeone has studied in detail several aspects of the complicated field of Nutrition from the therapeutic point of view and from the point of view relating to “remise en forme”. In particular, he conceived the “Integrated Kousmine Method” which completes and improves the classic method. www.kousmine.it is a website dedicated to this method. In addition, he conceived a new dietetics method which reflects the new paradigm of Medicine where it is necessary to take into consideration the exclusive characteristics of every single patient. 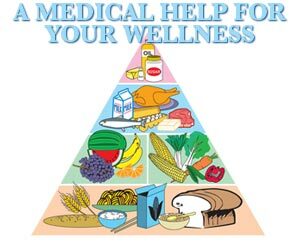 This method has been named “Metabolic Diet” and the Broussais Medical Center owns its exclusive rights. Over the years, Dr. Simeone has taken part in several TV shows on the most important national and international television broadcasting stations (Più sani, più belli - Uno mattina – Tg2 Salute – Medicine a confronto, etc.). In May 2006, he took part in “Porta a Porta” as nutrition and fasting expert. More than 15 years ago, he conceived a telecast titled “Viaggio nel mondo della Medicina Biologica” (“A Journey through the World of Biological Medicine”) which is regularly broadcasted on Tele Ambiente (channel 68 every Monday evening. Over the last years, he has planned to create a network of Biological and Integrated Medical Centers in Italy and in the rest of Europe. He has recently started studying the techniques for mental training through BTS (Brain State Technologies), together with Trauma Releasing Exercises ™ (TRE™).